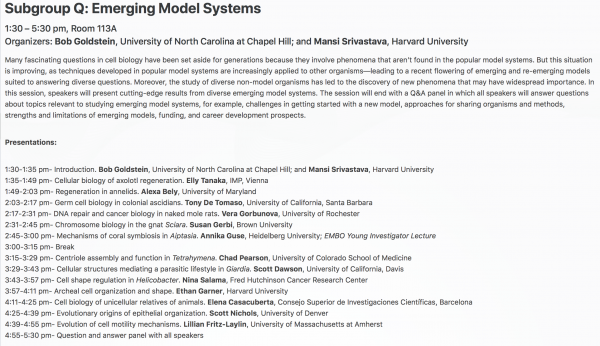 Organized by Mansi Srivastava & Bob Goldstein, the special interest subgroup Emerging Model Systems is again represented at this year´s ASCB | EMBO Meeting held in San Diego from December 8-12. A great line of topics and speakers, ranging from Arash Komeilo (Berkeley) talking about organelle biology in bacteria, Anne Brunet (Stanford) explaining aging and diapause in killifish to the analysis of host-microbe interaction in the Hawaiian bobtail squid presented by Spencer Nyholm (University of Connecticut) will bring the session to live on Saturday, December 8th. 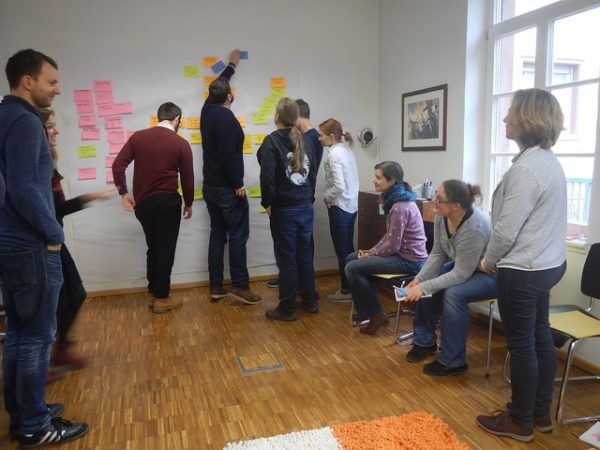 As part of the benefits of being an EMBO YIP lab, the Guse lab did a 1.5 day Creative Problem Solving (CPS) workshop at Seissmo in Mannheim. 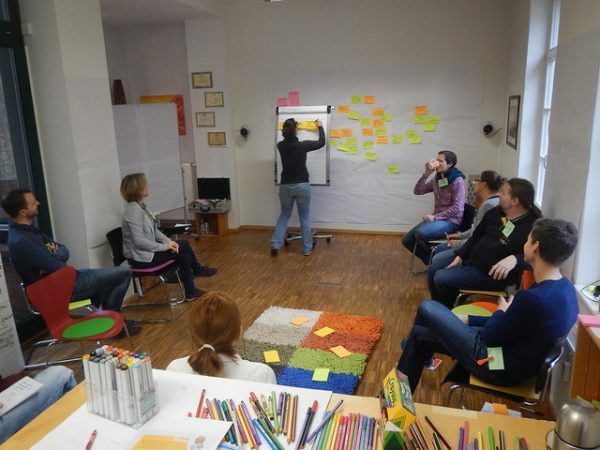 The CPS technique aims to generate a bunch of new and unforeseen ideas and solutions to issues that may occur in teams. The specific goal of our workshop, however, was to create a scientific roadmap for the lab by visualizing and integrating all ongoing and some future projects. Along the way we learned a lot about working as a team and of the internal lab communication. Of course, we can now also apply the versatile CPS techniques to any other topic to come up with new and unique ideas. All in all the workshop was, thanks to our fantastic coach Natacha, a big success and a lot of fun. The ASCB|EMBO Meeting 2017 took place at the beginning of December in Philadelphia. It was the first joint meeting of two of the most influential international organizations, ASCB and EMBO, within the field of molecular cell biology. After the session, all speakers participated in a Q & A session where general topics concerning labs establishing and working with emerging models are facing: small scientific communities, difficulties in finding funding for painstaking but crucial technique development and finding the right journals for publishing. 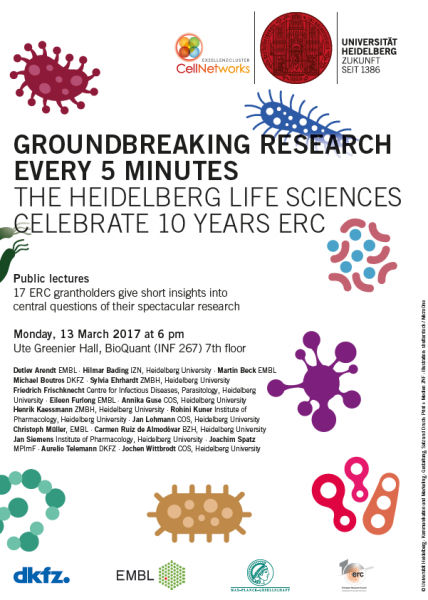 However, overall everybody agreed that emerging models are incredibly rewarding and encourage young researchers to give them a try. To continue the discussions and strengthen the community, all speakers and friends went out for food and drinks. All in all, a big success and I truly enjoyed my meeting participation and immersion into the constantly growing Emerging Models Community. 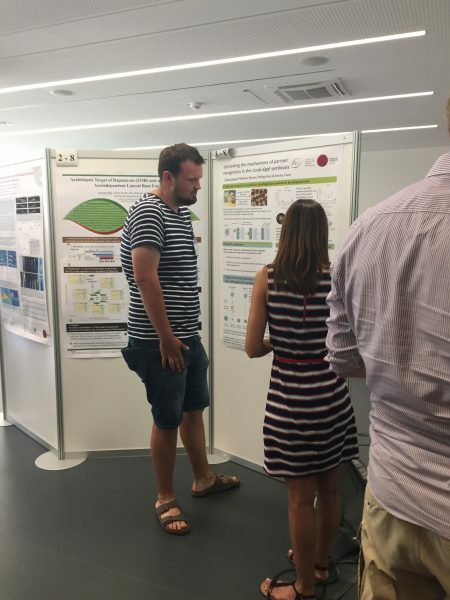 Each year EMBO YIPs organizes the famous PhD course for advanced PhD students from EMBO YIP labs. This year Philipp is one of those lucky students to participate. If you want to get updated on what´s happening there, please check out updates on Twitter. 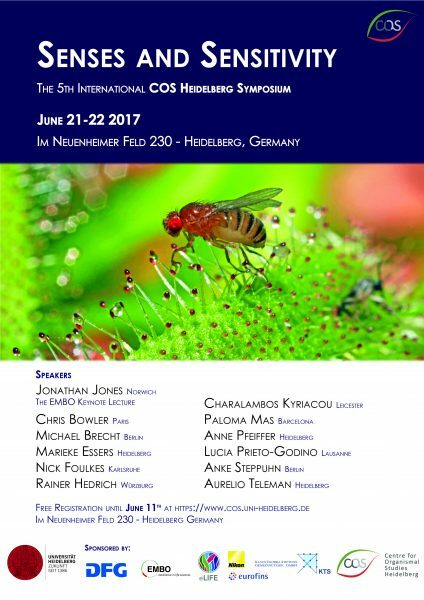 This year´s COS Symposium “Senses and Sensitivity” was a big success. 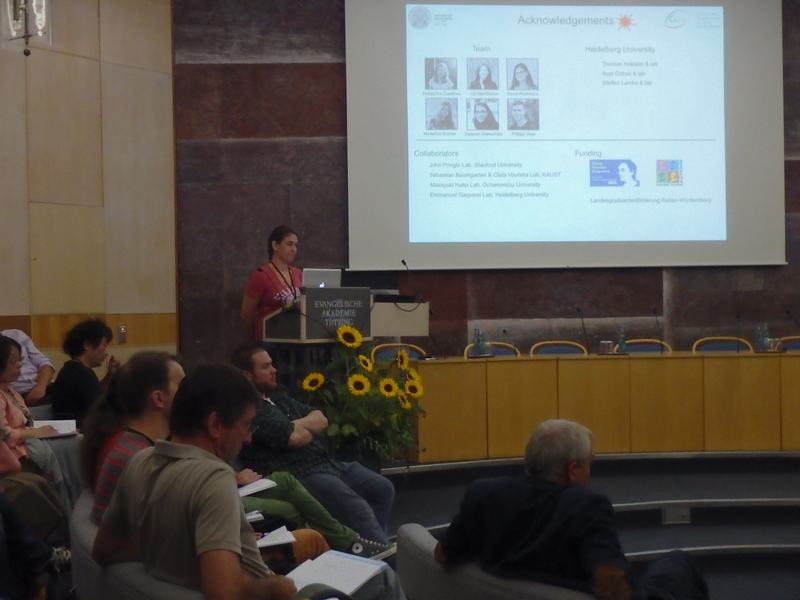 We had an excellent line-up of international, national and local speakers covering a wide range of scientific topics. Both, Victor and Marie presented Guse lab posters at the poster session and the Symposium concluded with a BBQ thanks to COS group leader Lazaro Centanin who knows his Argentinian meat. How did it go? Super well! Liz, Madeline and Annika attended the Hydra-Meeting 2015 in Tutzing organized by Thomas Holstein, Thomas Bosch und Uli Technau. It was a great meeting on very diverse topics around cnidarian biology and we met many old and new colleagues and collaborators. 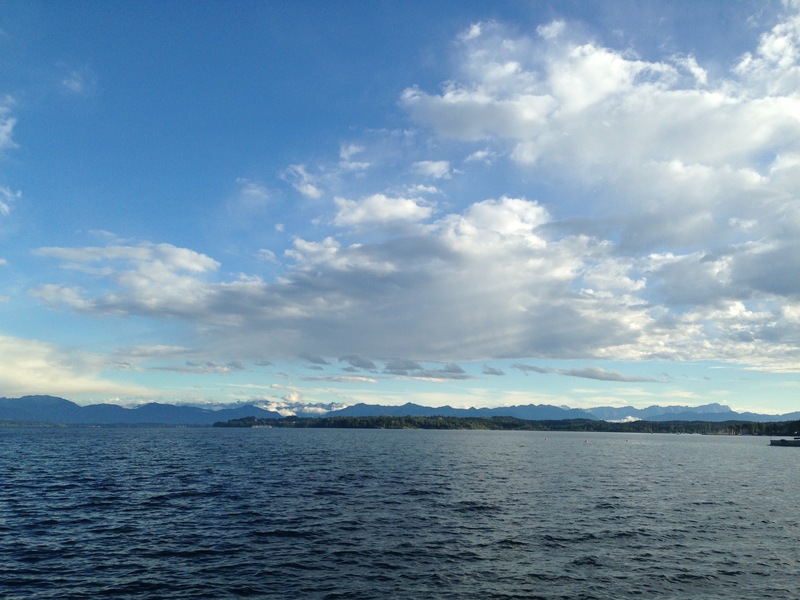 The conference was held in a beautiful setting right at the Starnberger See and the highlight was a boat trip with a Bavarian Buffet with gorgeous weather. Liz and Madeline presented a poster and Annika gave a talk summarizing our most recent findings on Aiptasia spawning and early development. 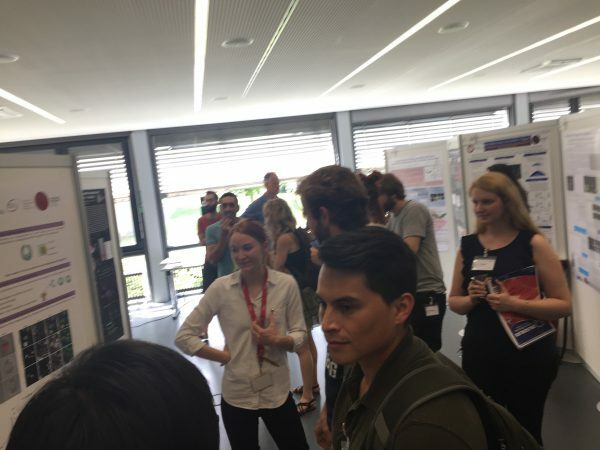 Both posters were a big success and Liz, enthusiastically presenting her work as always, even won the third poster price! Congrats! We are happy to announce the COS Symposium 2015! 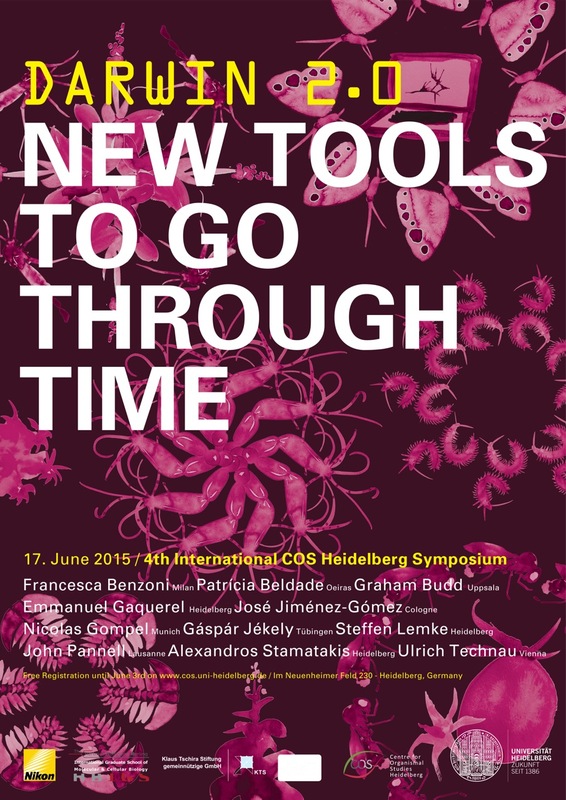 The biannual COS Symposium takes place on the 17th of June at the Bertalanffy Lecture Hall and will feature an international list of speakers that will “take us through time” by covering many aspects of evolutionary biology at different time scales using a diverse array of tools and emerging model systems as depicted on the poster. Free registration is open until the June 3rd. 3D-Images of Aiptasia anemones, taken with the Zeiss Z.1 light sheet microscopy (LSM) in Fiskebäckskil during the EMBO course Marine Animal Models in Evolution & Development, is showcased on the Zeiss webpage. Anemones are pretty cool, aren´t they?